The rise of the World Wide Web has opened up a plethora of possibilities for budding entrepreneurs to expand their business plans globally. Platforms such as WordPress offer loads of robust tools and plug-ins to assist users in setting up and managing their websites efficiently. In the WordPress marketplace of 47000+ plug-ins, there’s a plugin for almost every function, and some superb whole in one ecommerce enablement plugins! Listed below are the top 10 e-commerce plugins that are currently helping businessmen sell more and sell better using WordPress. With over 10 million downloads, WooCommerce is by far the most popular WordPress plugin and currently supports about 30% of online stores. The plugin was developed by WooThemes and later acquired by Auttomatic in 2015. Users can download and install the plugin from the WordPress archives free of charge. 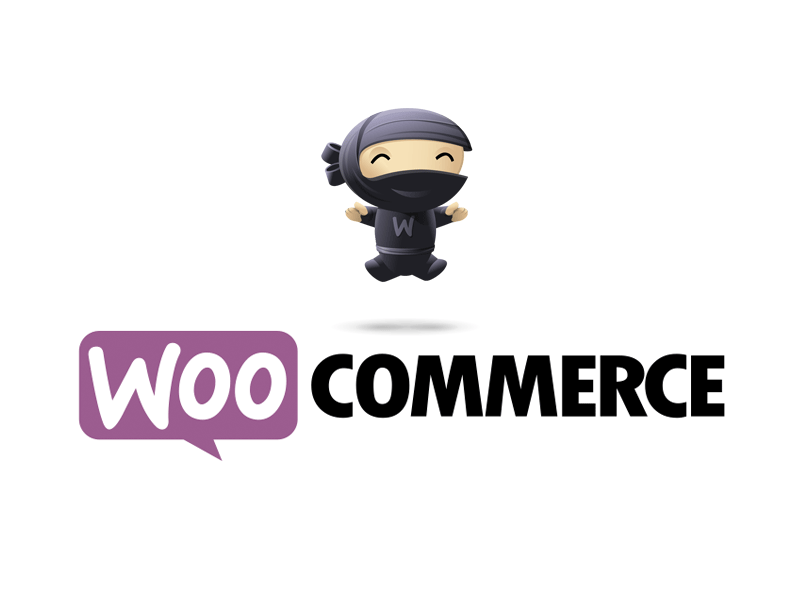 With WooCommerce you can easily manage and monitor all aspects of your e-commerce website in one place. Uploading product information, inserting graphics and PDF files, writing descriptions and setting prices, you can do it all here. Once you have published the website, the plugin also allows you to track the orders and have full control over the inventory. WooCommerce also comes with smart extensions that assist you in managing appointments, customize your products, and integrate all major payment gateways including PayPal Pro and Stripe. The platform supports both digital goods and physical products. Easy Digital Downloads is a pretty unique and innovative plugin developed by Pippin’s Plugin Family. As the name suggests, the platform is apt for selling digital goods such as ebooks, mp3 files etc. The plugin caters to digital web stores and is surprisingly clutter free and manageable. Even the core plugin is available free of charge. There is no limit on the number of products you want to add, the robust back-end reporting system assists you in keeping track of all deliveries. Moreover, it works seamlessly with almost any WordPress theme and also offers users a whole set of really cool extensions and e-commerce solutions. The platform is also integrated with all the major payment gateways including PayPal. EDD also boasts of an intuitive customer support team that guides you through every step of the way with simple video tutorials, interactive IRC chat rooms, and email connectivity. Marketpress e-commerce plugin for WordPress is great for budding entrepreneurs and first-time users who are looking for a user-friendly interface and customizable tools. The free Lite version of the plugin is available on the official repository, however, it is pretty basic and lacks the prevalent advanced features. The premium version, on the other hand, comes with a rich and responsive interface, and is available under the WPMUDev Membership program; pricing starts at $24.50 per month. Registering under this program gives you free access to MarketPress plugin along with 134 other extensions and add-ons that work seamlessly with Upfront themes and other sub-layouts. Markerptess is a complete e-commerce solution for users, giving them absolute control over every detail of their e-store. Both digital and physical goods can be sold here. Also, you can add multiple variations of the same product and promote them using aesthetically appealing galleries. iThemes Exchange is created and developed by BackupBuddy, a platform famous for its useful plugins and smart extensions. 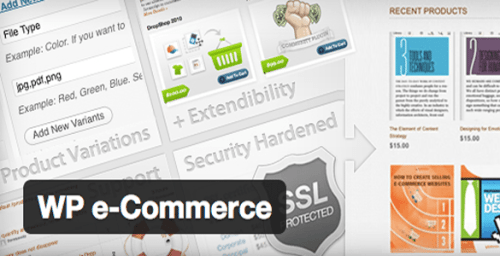 This WordPress e-commerce plugin is famous for its usability and scalable framework. The streamlined interface spares you the trouble of writing complicated codes and is compatible with both digital and physical goods. The core plugin can be downloaded directly from the official repository free of charge. iThemes features a one-click installation wizard that takes less than a minute to set up. It works well with almost every WordPress theme and boosts the reach of your business considerably. You can even upgrade to the Pro package and unlock the advanced tools and add-ons such as purchase buttons, product variant feature, and email marketing solutions. On the downside, the free version is not very effective for professional websites and established ventures; also the technical support community is very limited. WP e-commerce was developed in 2006 and since then has been a rage among WordPress users due to its smart features and robust interface. However, the plugin lost its fan base to WooComerce’s growing popularity. 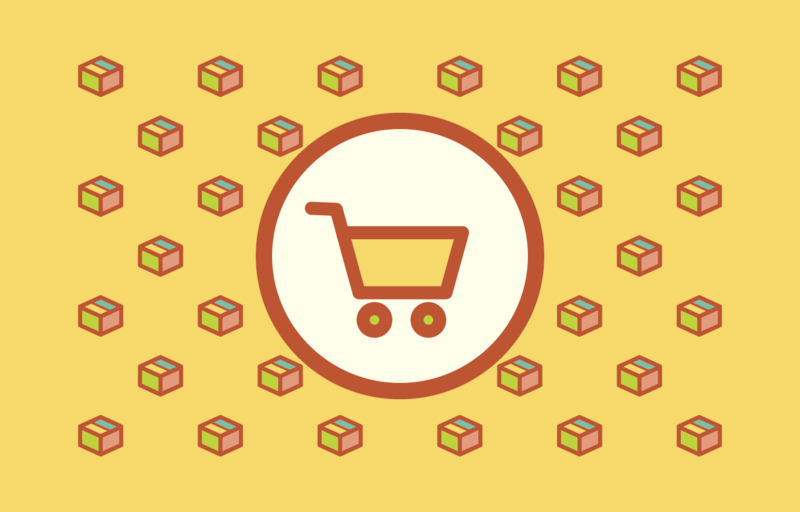 WP e-commerce offers users the option of adding shopping carts, design catalogs and insert graphics to enhance the visibility of their web store (though the platform supports only list view format). The core plugin can be easily downloaded from the WordPress archives including a dashboard loaded with several extensions for monitoring the inventory, tracking deliveries and managing the sales. The table shipping rate feature comes built-in with the core versions, unlike other plugins where you’ll have to download a separate extension for it. The platform offers users a total of 27 extensions. WP e-commerce also comes with an integrated PayPal payment gateway system. Cart 66 Cloud is an innovative and unconventional WordPress plugin for e-commerce web stores that comes at $95 a year. Although the plugin is not free unlike the others we’ve covered earlier, it is still worth a mention because of its awesome features and super responsive design. Moreover, most of the free plugins have to be upgraded to a premium one once your store starts expanding, so why not invest in a plugin that offers you all the functionalities at an affordable price? The plugin also comes with cloud support complete with all the SSL certifications, data encryption codes, security scans and protected payment gateways. At Cart 66 the products can be added just like any standard WordPress post that later gets converted into product pages using shortcodes. Mailchimp subscription, unlimited storage space courtesy Amazon Web Services and access to 98 different payment gateways make Cart 66 a wonderful option for beginners. Shopp e-commerce plugin is a smart option for users who are looking for a powerful marketing tool for computing and monitoring all the details of their web store. The developers at Shopp plugin believed in using separate tables for different sections for enhancing the performance of the database. A systematic arrangement of information leads to faster query generation and faster loading of the page. Here, users can sell and promote any kind of product whether digital, physical or virtual. It is a unique solution for users who want to include the function of recurring payments in their e-commerce platform without having a separate extension for it. The plugin offers PCI compliant protection, i.e., all your websites will have a PCI-DDS security certificate. Shopify is a fast growing ecommerce website builder that lets you design your web stores, present catalogs and add multiple products on your website with a simple click. The drag and drop interface is a delight, the dashboard loaded with cool editing tools, while the marketing solutions help you manage your venture. 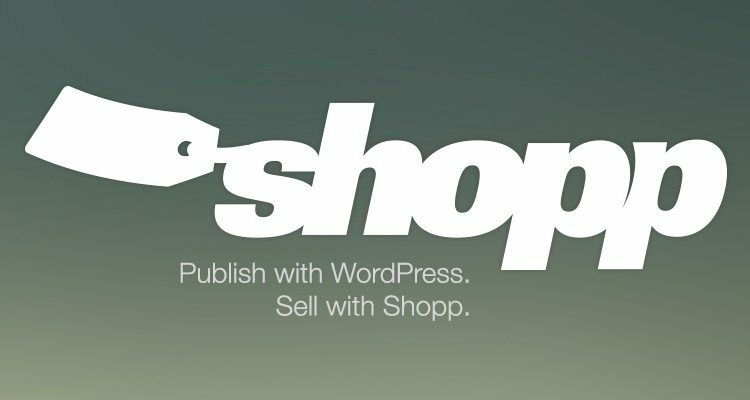 Though Shopify works pretty well as a standalone product, the platform also comes with WordPress integration and is compatible with almost all themes you find here. Shopify is a user-friendly plugin that requires no technical expertise; you can install the program in a matter of minutes. It comes with inbuilt PayPal and Bitcoin integration, SSL certifications and even handles shipping. An inventory manager is a great tool for tracking sales of both physical and digital goods. Add to that the social media marketing tools and you are good to go! Ecwid is a fast growing e-commerce solution for WordPress users developed for empowering businesses and start-ups. The platform currently supports more than 20000 enterprises and has partnered with both small-scale vendors and professional web developers. The standard version is available for free in the WordPress archives; however, it is better that you upgrade to the premium package paying a nominal sum. Ecrid is integrated with over 40 payment gateways including PayU and COD. First-time users get a free trial where they can design a website for free, also the platform offers domain support and free web hosting. The plugin works well with almost ever e-commerce WordPress theme assisting users in setting up stores that run on all devices. Everything from digital goods and physical products can be sold here. You can even share your content on social media platforms and expand your customer base globally. Jigoshop is one of the fastest e-commerce plugins for WordPress that aims at reducing the server downtime and boosting the overall functionality of your store. The modern, reliable and secure plugin comes with a PHP7 optimized framework that is twice as faster as its peers. The intelligent interface is clutter free and easy to manage. Jigoshop also comes with a RESTful API that is integrated into the core version of the plug-in for enhancing the accessibility of the program. About 90% of the extensions offered by Jigoshop have been redeveloped and upgraded. There is even an increase in the number of payment gateways offered when compared to other previous versions. Because the interface is compatible with PHP7 there is a drastic reduction in the server runtime and response duration as well. Hope you have enjoyed the list! Please leave your comments below if you have some more exciting plugins to share with the people.